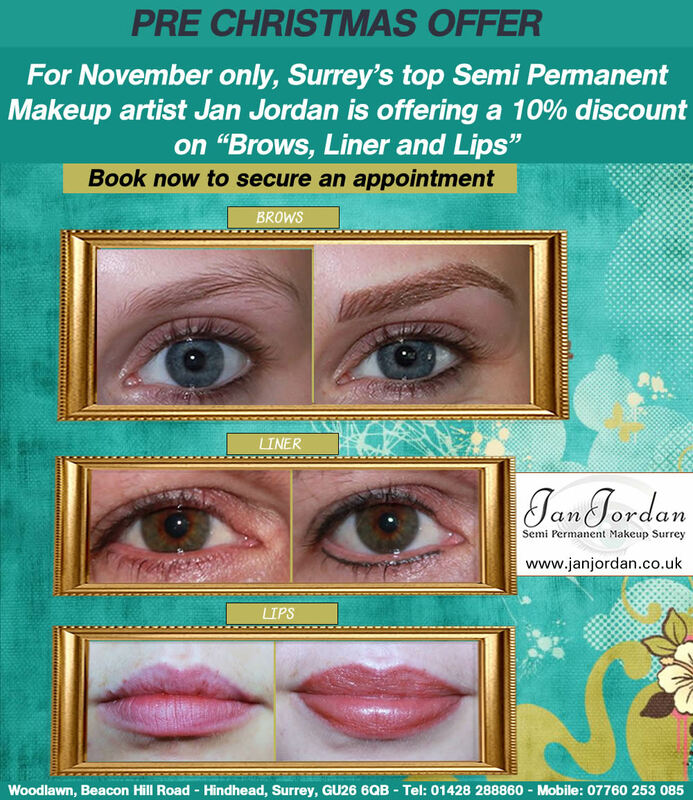 For November only, Surrey’s top Semi Permanent Makeup artist Jan Jordan is offering a 10% discount on "Brows, Liner and Lips". Book now to secure an appointment! 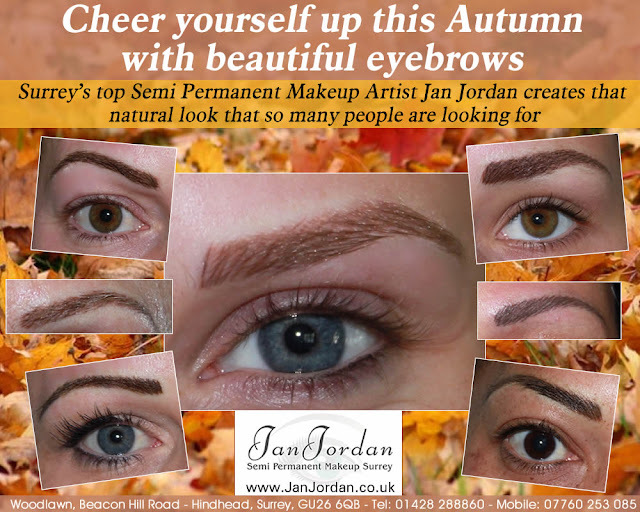 Cheer yourself up this Autumn with beautiful eyebrows.